We produce Ireland's only premium, natural and low sugar mixers. Each of our products has been carefully crafted to pair with different types of spirits and they all contain our own Wexford spring water and unique Irish ingredients. Our tonic waters feature perfume extracted Irish herbs and our ginger ale is made with organic apples from Kilkenny. 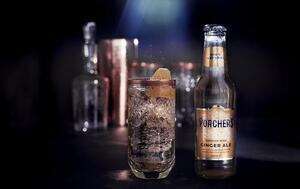 As well as Frozen Jameson, Poacher's Ginger Ale & Lime.